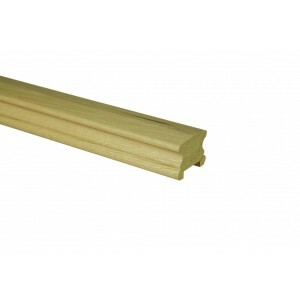 Post to post handrail sections make straight handrails that are joined together with newel posts. This post to post method of joining handrails together allows you to take the handrail around corners and adjust their height as they can be fixed to any of the various newel post available. This set up means that this handrail will suit almost any stair or landing balustrade to form an attractive barrier that’s also practical. Classic white oak stair parts from Richard Burbidge. Handrail sections produced in various lengths, but can also be cut to size to match specific specifications.